Stating the obvious here: Kids love apps. Apps for learning, apps for playing, apps for doodling, apps for getting through the grocery aisle without a back-arching meltdown. So, naturally apps will make the perfect holiday gift or stocking stuffer, right? But… how do you “give” a virtual gift? Hand the child an iTunes gift card and let him fend for himself? Preload your tablet and say, “Um… here?” Certainly you could lavish a wee one with her very own iPad, preloaded with dozens of apps, but for many of us, that simply isn’t practical — or even desirable. Thankfully, there’s a better way: “Bundling.” Basically, bundling just means pairing the app (or apps) with a physical gift, one that doesn’t have a touch screen or requires a download. Wrap it up and include a snapshot of the app (print out a brief description plus a screenshot or two), and then tell the child that the other part of the gift is on mommy’s/grandma’s tablet or has already been downloaded on the old iPhone she is using as a converted iPod Touch. Frontload first, then download. Here’s how. For anyone who’s encountered inappropriate “kids” content via YouTube (dubbed-over lyrics, parodies, questionable material coming out of the mouths of favorite characters), you can rest assured that eager eyeballs only view the real deal, via the PBS KIDS Video App. 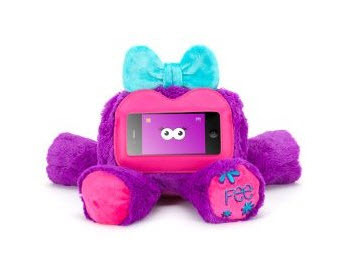 Pair with “Woogie,” an adorable interactive stuffed animal-like cuddle case for the iPhone/iPod Touch. Frontload: Woogie (ages 3+, $19.99–$24.99 at Amazon.com or Griffin Technologies). Download: PBS KIDS Video App (rated 4+, free via iTunes). The bestselling learn-to-read series from Scholastic gently introduces the concepts of reading, helping kids make the connection between letters and sounds. The books and apps work together to build different literacy skills like sounding out simple words and spelling. 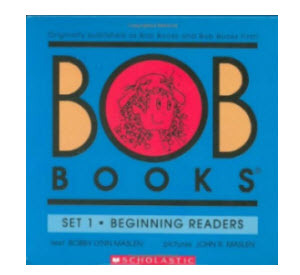 Frontload: Bob Books Set 1 and Set 2 (ages 4+, $11/each at Barnes & Noble or Amazon.com). Download: Bob Books Reading Magic #1 and #2 (rated 4+, $1.99 each via iTunes). The Angry Birds franchise has gotten so huge, it wouldn’t surprise us if a theme park suddenly popped out like a bird in a slingshot. In terms of what to give, you really can’t go wrong here. Nearly every major retailer has gotten into the licensing game with sweatshirts, plush toys, silly hats, backpacks, speakers, water bottles, even band-aids. 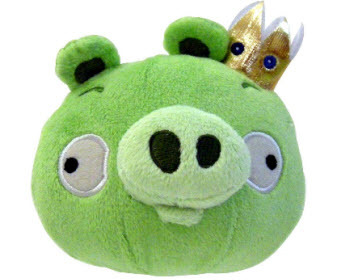 Download: Bad Piggies, Angry Birds Space or Angry Birds Seasons (rated 4+, free—$0.99 via iTunes and Google Play). The beloved Richard Scarry’s Busytown is making a huge comeback. There are the books and videos, of course; our top gift pick is the award-winning Busy, Busy Airport Game from local toy company Wonder Forge. Bundle with the interactive Busytown app, in which drawings come to life and kids can play dress-up with their favorite characters. 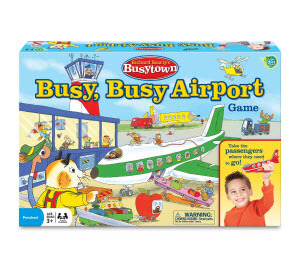 Frontload: Busytown Busy, Busy Airport Game (ages 3+, $19.99 at Target, Bartell Drugs, ToysRUs or Amazon). Download: Busytown App (ages 4+, $2.99 via iTunes). The tablet-as-e-reader is a wonderful way to give the gift of books this season, and the Storia app from Scholastic makes it super easy. With more than 1,500 available titles curated according to ages and reading levels, plus learning activities, personalized bookshelves and more, this is a gift that keeps on giving. Pair with: what else? A starter collection of classic books. Frontload: Find favorite classics to kick-start your list. 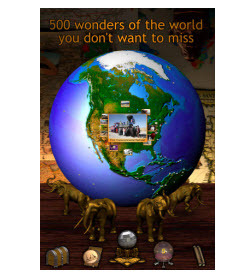 Download: Storia App from Scholastic — free; works on Windows PC, iPad, and Android tablets. 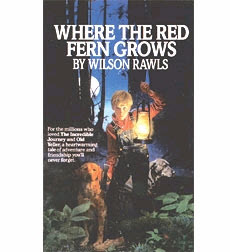 Comes with five e-books; additional titles cost $1.95–$20. Easy to learn — but hard to master — the Qvoid app is kinda like the Rubik’s Cube, but not as complex or as frustrating. Kids get to work on their spatial perception and deductive reasoning skills, and the app gradually gets more difficult as different levels are mastered. Bundle it with high-quality wooden puzzles or building blocks that kids can enjoy for years. Frontload: 3D Building Block Set ($19.95 via Monkey Pod Games or Amazon.com). Download: Qvoid App (rated 4+, free, in-app purchases $0.99–$1.99, via iTunes). That’s the concern, right? That the kids will be so enamored with their apps, they’ll literally sink into the cushions and be lost forever. Here’s a game that actually gets kids up and moving. Outdoor Fitness apps from GenZPlay use your phone’s built-in accelerometer to track kids’ progress as they race against a computer cat. Since appropriate footwear is required, pair this app with a cool new pair of sneaks. Frontload: Children’s Brooks Adrenaline GTS 3 Running Shoe ($64.95, Road Runner Sports). 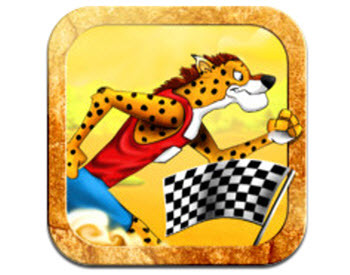 Download: Big Cat Race by GenZPlay (rated 4+, $0.99 via Google Play and iTunes). In the Wombi Around the Clock app, kids play through a whole day where every hour has its own game — from making breakfast to bike riding to sleepy-time activities. Time your gift with a cool kids wristwatch. 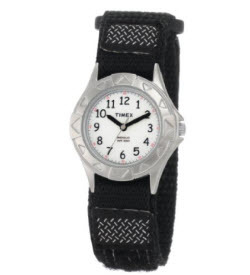 Frontload: Timex Kids’ T79051 My First Outdoor Black Fast Wrap Velcro Strap Watch ($15.96 via Amazon.com). For the kid who loves to journal, dream, draw and doodle, here’s a fun way for her to express herself. The iDiary app is a journaling and writing platform allowing kids to upload photos, write on screen and even share entries. Pair the app with a hardcover journal with a lock, or any title within the American Girl Advice Library. 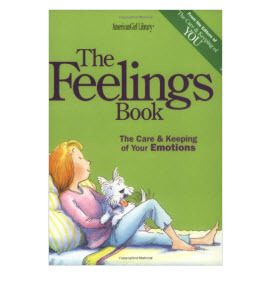 Frontload: American Girl Feelings Book Journal (ages 8+ at Amazon.com or Barnes & Noble). Download: iDiary by Tipitap (rated 4+, $1.99 via iTunes). Geo Walk HD - 3D World Fact Book is an educational app loaded with useful information and factoids about hundreds of people, places, plants, and animals. Since geography is a major theme, treat your future globetrotter to his very own globe. Frontload: Illuminated Globe 4 Kids (ages 3+, $49.95 at FatBrain Toys). 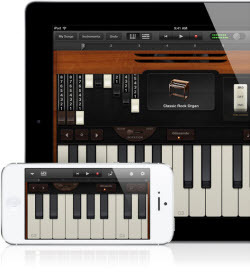 Turn your iPad, iPhone, or iPod Touch into a full-featured recording studio with the GarageBand app. Play and record music, mix up tracks and apply fun sound effects. For a totally rockin’ gift, treat your young musician to a series of music lessons, or better yet, her first guitar. Frontload: Squier Bullet Strat Guitar ($129.99 at Guitar Center). Allison Ellis is a mother of two, freelance writer and brand strategy consultant who lives and writes in Seattle.